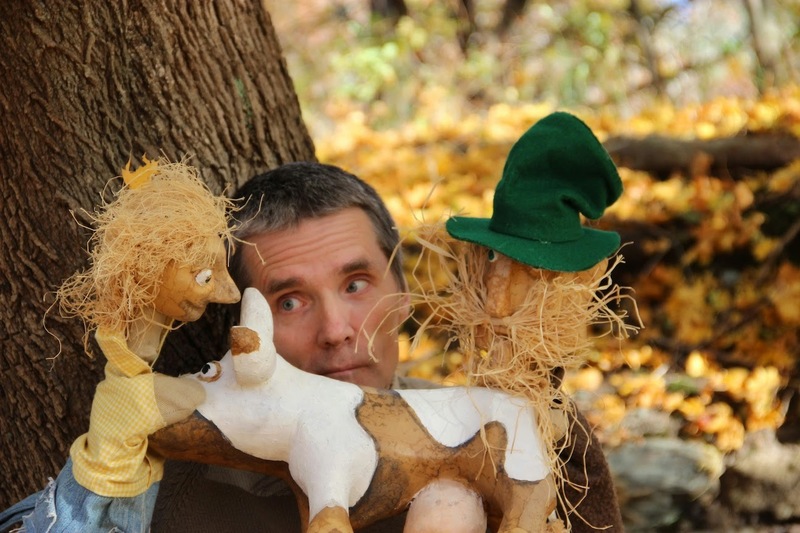 Saturday, December 7 at 2 p.m.
Join Dream Tale Puppets for a joyous romp through the classic tale of poor Jack, the cow and the magic beans. Dream Tale Puppets director Jacek Zuzanski creates the story with physical comedy, hand puppets, masks and a marionette. Margaret Moody of Galapagos Puppets provides narration and voices for the production. Tickets $7; 3 for $20, at the door or may be reserved by e-mailing galapagospuppets@gmail.com. Please stay for coffee and puppet-play afterwards. Best for ages four and up. 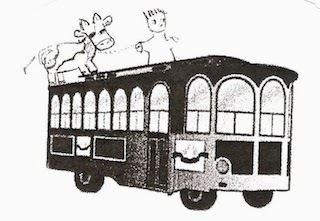 TAKE a trolley to the Beanstalk! Since December 7 is Arlington's "First Lights" celebration, you can hop on a free trolley anywhere on Mass. Ave from 12 to 5 p.m., hear carolers, see lights and hop off at the Arlington Center for the Arts! Please join me for the first show in this year's "Puppets at ACA" series. 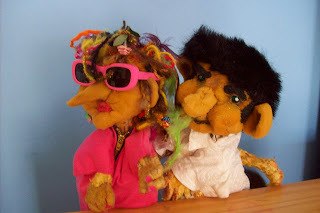 Meet Skimpa and Blompa, two trolls learning to go green. Stay after to have a little coffee, a lot of puppet-play. As always, you'll be with other friendly families and the nicest teenaged assistants. And, we are very happy to have soft new seats! Tickets are $7; 3 for $20, at the door. If you'd like to reserve a ticket, please e-mail Margaret at galapagospuppets@gmail.com.